Hello friends…you know what day it is…it’s Hump Day but it’s also “You Choose The Shoes” day! Last week’s contenders were definitely not in a tight race but the comments for both were coming in fast and furious, however, you know there can only be one winner so congratulations to everyone who voted for…. 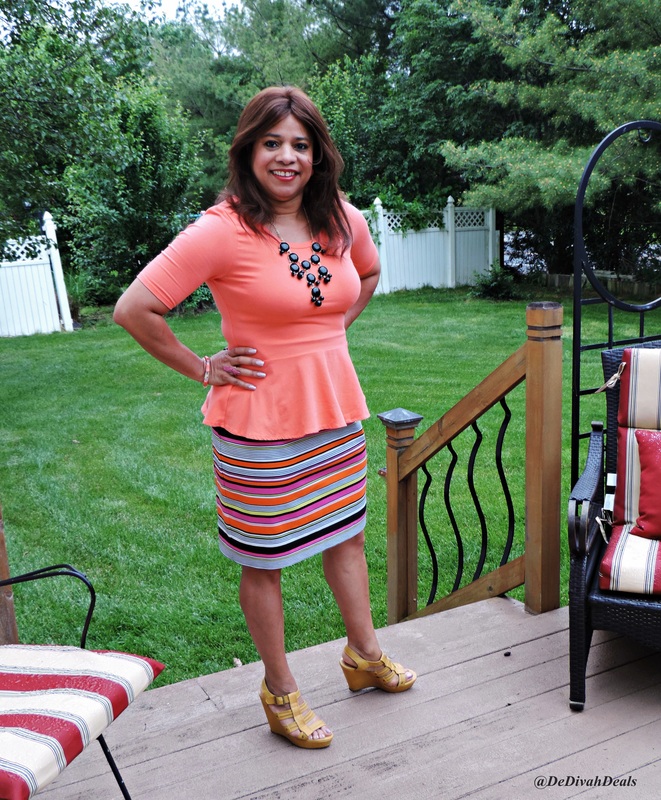 If you follow me on Facebook or Instagram you saw this outfit already but so you know the skirt is from JC Penney and that the top was thrifted from Goodwill. The iPad case and watch believe it or not were purchased from Avon and if you haven’t checked out a catalog lately click here. The first pair of shoes are xhiliration via Target and were purchased several years ago. I wear them at least 4 times during the summer months because I love the mustard color and they are very comfortable. The second pair were purchased online at Urbanog.com, and were part of a major shoe haul where I ordered more than 5 pairs on the same day (here). I love the pops of neon colors which was also very popular in the mid to late 80’s. the peach sandals from Urbanog.com? I can tell this is going to be another tough decision which is why I like having you in my closet! You choose the shoes, then leave me a comment as to why you chose them. In the meantime I’ll be heading over to see the ladies at the Personal Style Linkup, then I’ll be back to respond to your comments. I say go for the pink ones! LOVE this outfit, big sis. Hope you’re having a great week in AC…XO! Yes, they seem to go a little better with the outfit. It was just a day in AC but it was nice – thanks. Hope you are having a wonderful weekend. I think I like the mustard ones just a little more because they draw that stripe of color out of the skirt and they are just a little more neutral with all the colors in the skirt and shirt. Great concept, will mark you down for the Target pair. Have a wonderful Wednesday night! You’re right these are both super fab! Hard to choose which one since they both look great with you outfit. The yellow ones really pop but I would say I like the coral heels wedges better, mainly because of the irregular heel. Yes, I am leaning a bit more towards the coral ones as well. Hope you are having a wonderful weekend. Great, I will mark you down for the Target pair, don’t forget to come back next week to see who won. Have a Thankful Thursday! I go for the Urbanog ones. Love the color! The clutch if fabulous too! Thanks Jasmine, I think the coral ones are a better look with the skirt. Have a wonderful weekend. Coral heels! I like the color better and they don’t try to compete with the skirt. True, you definitely have a great eye for fashion! Thank you, the pink ones are leading in the polls – lol! I like them both but I’ll choose the pink ones. Yes, they seem to go better with the skirt – thanks for your vote! The pink is much better because it’s the dominate color in the skirt. The yellow stands to far alone and looks like it doesn’t quite belong. Perhaps if it were a more delicate sandal in yellow. The skirt and top look great on you. Thank you, I was thinking the same thing, less chunk on the mustard shoes would have made them better. Happy Thankful Thursday. Looks like all of us, your readers, are voting for the same things! I’m voting for the peach sandals and seems like most of us are voting for that too. You look great as usual. 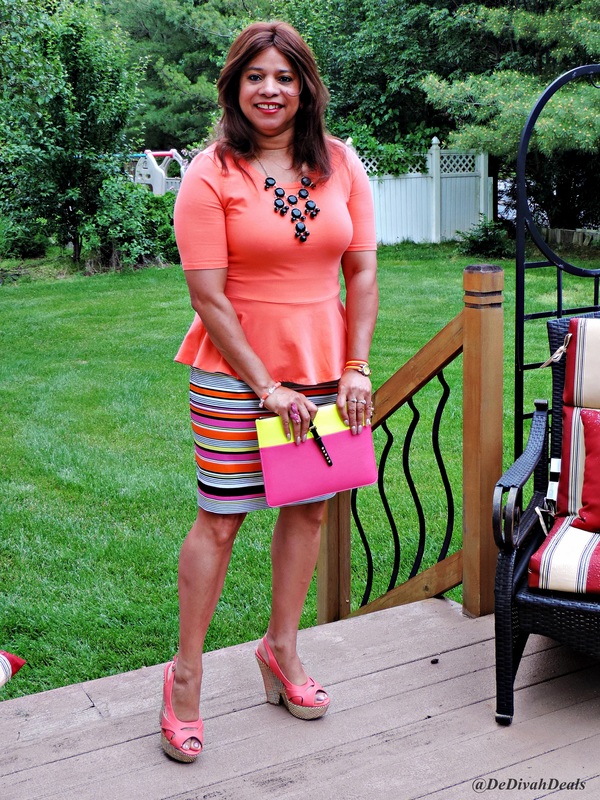 Love this colorful look you’re rocking! Have a great weekend! 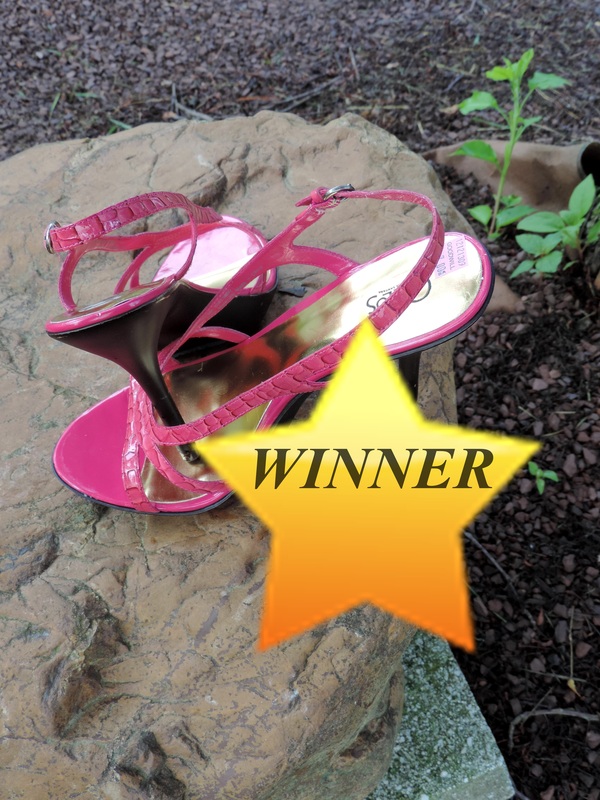 Thank you and yes, the coral shoes are definitely the winner – we all have great taste!! Thank you I appreciate the compliment. Wishing you a wonderful week ahead.